We continue our two-part article about frequent mistakes made in Continuing Care assessments. In Part 1 we looked at how your relative may be wrongly given low scores in assessments because they are receiving care and their needs are being managed. However, it’s always the underlying need that should be assessed, not the managed need. As part of a full assessment for Continuing Care the assessors look at the nature, intensity, complexity and unpredictability of your relative’s needs – and this is where the problems often start. A common argument used by NHS assessors to deny funding is to say that someone’s needs are stable and predictable, and therefore they’re not eligible for Continuing Care funding. Assessors are often quick to latch on to the phrase “rapidly deteriorating condition” when looking at unpredictability. However, a need can also be considered unpredictable if it requires daily monitoring (“adequate and timely care”). If your relative is taking a range of medication, the side effects of that mix of medication could potentially be problematic. This can be considered unpredictable. If your relative is immobile, cognitively impaired and also unaware of their immobility, they may try to get up out of their chair and walk. Their needs in this respect may be considered unpredictable. Your relative does not have to be at death’s door or display wildly challenging behaviour that poses an immediate risk to life and limb. The NHS seems generally much less interested in patients with chronic conditions than acute ones, and many people report that this is often the reason given for denying NHS funding. However, always keep in mind that if your relative has chronic yet stable health needs, they may well still qualify for Continuing Care funding. The Coughlan case demonstrates this: Pamela Coughlan’s needs were chronic, yet stable, and her landmark case regarding NHS Continuing Care funding was upheld at the Court of Appeal. Any assessor who is unaware of the Couglan judgment – and who carries out an assessment without understanding the National Framework guidelines – is negligent. If you feel that Continuing Care assessors are assessing your relative unfairly on account of their ‘stable’ needs, you can challenge this: Remind the assessors of their duty to adhere to the law and to their own Department of Health guidelines – and make sure they’re aware that you know the rules and that you fully intend to see they’re followed. It’s unacceptable that, 13 years after the well-known Coughlan case and 6 years after the Grogan case – two cases that contributed to the establishment of the National Framework – the legal framework surrounding Continuing Care funding is still ignored by many assessors and, as a result, many vulnerable and chronically ill elderly people are being denied the care funding they’re entitled to in law. Remember, just because a need appears to be stable, does not mean it can be ignored. A need that appears stable is likely to still need careful management and care intervention. Without that intervention, the need is likely not to be stable at all! Assessors are also required to wait until ongoing care needs are clear before they assess, i.e. there must be some kind of stability of needs in order that assessors can make an accurate assessment of both current and future needs. Read more about managed needs in Part 1 of this article. Thought I’d share a recent experience at a panel review held by NHS England reviewing Dorset CCG’s refusal to provide CHC to my (now deceased) father. There was a panel review despite the fact that Dorset CCG overturned the MDT’s decision to award CHC – and subsequently changed, then changed again Domain assessments. This is all contrary to the directives of the National Framework. At the opening of the meeting, despite having provided a 50 page challenge to NHS England, I was told by the Chair that they would not dwell upon the procedural concerns I had gone to lengths to detail – each with direct references to the Framework. The Chair told me, ironically, that ‘we can’t change what has happened’. Which made me wonder why any of us were there. I also wondered why a Panel Review was necessary – because if NHS England were serious about holding Dorset CCG to account, they would have organised a meeting between the CCG staff (whom I suspect are not clinically qualified) and the MDT members to establish why the CCG overturned their (in the case of the staff district nurse) clinical decision. But obviously they did no such thing. I was invited to provide a counter to all of the CCG’s decisions (my father died 2.5 years ago – and requested a review 2 years ago) – as part of this I was invited to tell the panel ‘what kind of person your father was’ before he became ill. I have since complained about this as it has no clinical basis – but have been told that it helps to ‘provide a picture’ of how the illness affected him. There is nothing in the framework to support this. Similarly the Chair was eager to establish how frequently GP’s, District Nurses and any other clinicians visited him. I quoted the Framework to challenge this – that CHC is not awarded on the basis of who provides the care, or on qualifications. After complaining NHS England have told me that this is information is helpful in qualifying the nature of Intensity – even this statement is complete contradiction to the Framework clause I had provided in my initial complaint. Based on these excuses, I am not at all confident that NHS England will hold Dorset CCG to account. NHS England have also refused to provide names of CCG staff mentioned in the meeting, despite minutes being taken (so I can file a Freedom of Information request to establish the level of their clinical training). During the meeting when I raised the point that a co-ordinator had not been appointed in a manner that was in accordance to the Framework (i.e. someone who was separate to the MDT) I was told that the CCG have a different naming structure and that a co-ordinator is only appointed once CHC funding has been awarded (although this wasn’t the case either – dad was awarded end of life care 1 week before his death – we expected palliative care nurses, but got two very young carers who had not been briefed and asked ‘has he had his breakfast’ – he was unconscious on a morphine driver at this point. What we didn’t get was a CCG appointed co-ordinator). It is astonishing that CCG’s can simply make up definitions, or switch and change Framework definitions to suit their defence. I’m not sure about the legality of that, because the Framework isn’t a statute and doesn’t appear to hold any legal weight. However withholding funded care I believe would be illegal – and so the fictions provided in the CCG’s defence (and the apparent ignorance of both NHS England staff and the ‘lay’ panel Chair) I hope can be challenged in court. As this seems to be the likely conclusion – in the hope that I’ll give up. I hope sharing this info might help anyone attending at Panel Review. My mother has had NHS Continuing Healthcare Funding for the last year. She is 97 with vascular dementia and is in a care home with 24 hour one to one care. The continuing healthcare panel have written to inform her that she is no longer eligible for the full funding and that social services will now be responsible for the social care element of her care involving a means test. She has a state pension but have been led to believe that we should fight this decision. She has no idea that she cannot walk and is not able to go to the loo or anywhere alone. She has already broken her pelvis in a fall and I feel that the decision is wrong but have no idea how to fight it. Perhaps someone can give some guidance. Susan – many people are in a similar position to you, and finding that Continuing Healthcare is being removed with little or no justification. 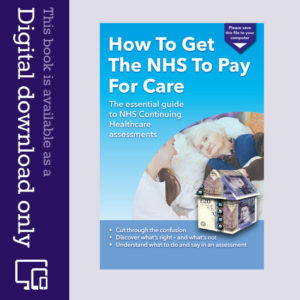 This should help you: http://caretobedifferent.co.uk/appealing-a-continuing-care-funding-decision/ Also, if the funding has been removed without a proper review meeting involving relevant health and social care professionals, plus yourself, and including a comparison of needs with those documented on the previous Decision Support Tool, then you can appeal on this basis alone. It is only if care needs have genuinely decreased (through proper assessment) – AND have decreased to a level that falls within the local authority’s legal remit for social care – that funding should ever be removed. My mother had a right frontal lobectomy brain operation back in 1973 at the age of 35, she is now 79 she has been in nursing homes since then. She had bel palsy and then a stroke, she suffers with alzheimer’s, behaviour issues, incontinence, non-concordance to drugs, history of suicide attempts, cognition, diabetes, wheel chair bound etc etc. I have been fighting the Clinical Commissioning Group (CCG) since 2005 and have had some success, NHS England awarded NHS Continuing Healthcare care since 2012, but the battle goes on retrospectively back to 2005. My tip is to collect as much paperwork from the home as possible showing the problems your relative has. Use the Complexity, Nature, Intensity and Unpredictability to make it hard for the CCG to just turn you down. I have battled over ten years and will not give up. The CCGs try to badger you and hope you will give up, but stick to your rights. Thanks for your comment, Alan. Wishing you well. We have been attempting to complete a DST for my mother-in-law since the beginning of the year. We thought we had arrived at this point in early March and a recommendation was in the process of being filed with the panel. However, the mental health department eventually became re-involved with my mother-in-law and outrightly said that they completely disagreed with the first DST (she would not qualify for funding in their opinion) and insisted that they re-do the assessment. [Incidentally, they were following her through their Crisis Team for 6 months, but as soon as she entered a care home they removed her from the workload – they felt she no longer needed them!] The panel have said they will wait for the 2nd DST and review our case. The 2nd review took place earlier this month and still 10 days after the assessment was completed, we are waiting for the final paperwork to be completed for us to add our comments. Upon chasing up progress, I am now told that as my mother has not settled in her new care home (she has been there since early February so this is not a recent problem – but is becoming worse by the day) and is very problematic in her behaviour, that the assessment will not be passed to the panel until her treatment works and she is again settled. They cannot advise how long this may take. Is this reasonable? My mother-in-law has anxiety issues that they are trying to treat. This is not a recent medical problem, she has a history of severe depression/anxiety episodes, now coupled with potential early vascular dementia. We have a period now where she is not able to be managed (medication is changing constantly and even the home are at a loss of how they can improve things for her!). I have suggested that the assessment should go through as it should be conducted based on “her worst day” and that even when we find a treatment that settles her (if at all!) she still has the underlying need that must be managed. Their response to me was “if we were to present all our patients when they are unsettled (at their worse times) then all of them will be on continuing care and I don’t believe any organisation can cope with that. As a team we have to treat the patient and if treating at home or in hospital is not successful then we can say we’ve tried everything possible.” This seems to me that mental health have a different set of rules to the rest of the CHC departments. Do you have any experience, guidance, thoughts to help us through this? The recommendation should only be overturned by the decision making panel in exceptional circumstances: http://caretobedifferent.co.uk/can-ccgs-overturn-nhs-continuing-healthcare-eligibility/ It sounds as though the assessors are waiting for your mother in law’s needs to reduce, so that they can refuse funding – in which case they could wait a long time, which of course is unacceptable. 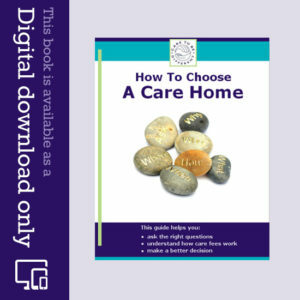 Even if the care needs do decrease, and if this is because of the care your mother-in-law receives, the managed needs principle still applies, as you say – and it is the underlying needs that must be assessed. The statement your quotes by the assessor(s) sounds entirely financially motivated. Mental Health teams have to abide by the National Framework and case law just the same as anyone else. and people with mental health or cognitive needs should be assessed in the same way as others. My husband has been in a Nursing Home for 6 years, he suffers from Primary Progressive MS is only 58 years old, is unable to do anything for himself, cannot weight bear, is doubly incontinent, in a very confused state, has no short term memory at all but does recognise my daughter and I when we visit each week. Just over a year ago he started having seizures and as a result would end up in hospital for at least a week at a time which was far from ideal as he is so confused and frightened if taken out of his normal environment. Each episode left him less able to cope and more debilitated. I asked if he could be assessed for Continuing Care as up to that point 1/2 his company pension was taken to pay towards his care. A meeting was arranged, the Nurse Assessor was extremely abrupt, I felt as if she had made up her mind that he wasn’t eligible from the outset. She disagreed with most of what the Care Team from the home and the Social Worker and myself were saying, she flicked through his notes and then concluded he wasn’t eligible. I asked if she had met my husband and her reply was she liked to get the paperwork over and done with and would see him afterwards, she did not do this. Following this decision I appealed and won- he has had Continuing Care for just over a year now. I received a call last week from another Nurse Assessor to say that she had just popped in to the home and that she no longer felt my husband should be receiving Continuing Care. I asked on what grounds, why wasn’t I invited to be there as I have Enduring Power of Attorney and had she actually seen him, the reply being “I am very busy and had several people to see.” She looked through his file, said he was now stable and hadn’t had any medication for nearly a year, that was totally incorrect (he was in hospital following a major choking episode and seizure for 5 days in November), he has put on weight, (only because he is given a high calorie drink everyday,) he takes his food within a 20min time frame (he is in a manual wheelchair and unable to move himself) – he had to be taken out of his Electric Wheelchair as he is too confused to be safe. I refuted all that she said (thanks to reading information from Care to Be Different) and she agreed to leave him on Continuing Care for now and reassess him in three months time. I am gathering all the relevant information, have spoken to the home, they are very supportive of us and are going to fight with me. It seems very wrong that people can be treated like this and forced to fight every step of the way, I am able to fight his corner but worry about all those who don’t have the strength to do so. If he wasn’t in receipt of a pension they wouldn’t be able to take half of it, he paid tax all his working life and never used the NHS or claimed a benefit. Thanks for your comment, Anne. Well done for standing your ground. What you’ve experienced in the Continuing Healthcare process is sadly not unusual, and I’m sure many families would echo your sentiments here. Glad I have seen this as after receiving NHS CHC for a while I have now been told by the specialist nurse that she is advising that my mum no longer requires the funding as she is not as unpredictable as she was i.e. she is more stable. The fact that she cannot do anything for herself and I mean anything and just sits in a specialist wheelchair, that I got for her because she was in danger of falling out/sliding out of an armchair so was therefore bed bound, all day doesn’t seem to matter. Her speech is such that you cannot decipher what she is saying – so sad that she cannot even ask for a cup of tea. Obviously there is to be a meeting with various people to make the final decision but this will give me some backing. I was advised that mum having been in hospital for almost 6 months – having been dumped there by the manager of the residential home mum was in as they could no longer cope (but that’s another story) – needed a nursing home so if mum is more stable does that mean she would be eligible to go back to a residential home? It all depends on her day-to-day care needs and risks, and whether any given care home can cope with those. Keep in mind that Continuing Healthcare (CHC) is available in ordinary residential homes as well as nursing homes. Your mum could be stable and in a residential home, or stable and in a nursing home. Keep in mind that being ‘stable’ doesn’t necessarily mean she shouldn’t continue to receive CHC.